Export Furniture Exhibition (EFE) 2018 is once again set to attract more international buyers and make waves, showcasing furniture of outstanding designs and quality with a variety of world class furniture. See high quality products by dependable, creative and trustworthy exhibitors at this premier meeting platform of renowned industry players. Endorsed by the government attesting to the quality and international appeal of our show, you are assured of reaching a significant number of regional and international trade visitors. With our good track record, EFE showcases a diverse selection of the latest offerings on furniture and furnishings with excellent product mix. Organized by the industry, for the industry, EFE knows how to connect buyers with the world’s market leaders. Bringing together Malaysia’s leading manufacturers including manufacturers from the Asian Region to present a large selection of high quality furniture products. The event is set to unveil the latest in furniture designs for commercial, residential and retail industry. Enjoy a rewarding experience in KL, a city with distinctive blend of tourism offerings from vibrant night life to ethnic culture and culinary delights where EFE is held. Acknowledged as one of the main tradeshows in the region, it is expected to generate optimum buying and selling opportunities. With a wide range of exhibitors, EFE makes it easier to fulfill your business needs. Gateway for international players to penetrate the regional market. EFE is the most representative international furniture fair in Malaysia by the industry for the industry. A ‘must visit’ international event not to be missed! With Malaysia’s strategic location and position, gaining an entry into the ASEAN market is straightforward. With a large market base and a pro-business environment, Malaysia is ideal to bring nations together to do business. 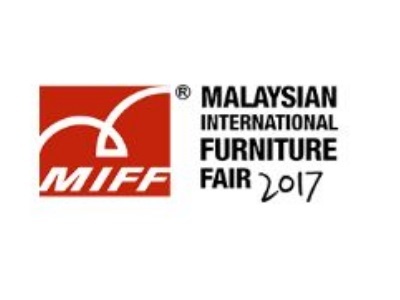 With the ASEAN Free Trade Area providing optimal business environment, MIFF (Malaysia International Furniture Fair) is the market place for the global furniture industry. With the best infrastructure and facilities, MIFF provides a relaxed environment to make doing business convenient and orderly. Delegates can take their time building trust and subsequently sign deals. Let us worry about providing a comfortable business environment so that you can focus on what matters: signing that deal. With services such as airport transfer and even foot massages, it is no wonder delegates come back year after year. With small surprises such as a limousine voucher to world-class hospitality, visitors leave MIFF with much praises. With the opportunity to meet potential partners and clients from over 140 countries, this is the place to build and expand your network. Our Exhibitors are handpicked to ensure trustworthiness and reliability. With marketing strategies conducted in 8 major languages, MIFF attracts visitors from all over the world. On the spot orders from genuine buyers speed up business deals and demonstrates trustworthiness. Pre-booking spaces are also filled up quickly after each exhibition, demonstrating exhibitors’ confidence in MIFF. Get your name on the global arena with MIFF. 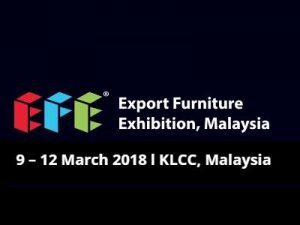 The Export Furniture Exhibition (EFE), one of the region’s most important and comprehensive event in the furniture industry calendar will debut its 13th edition from 8 to 11 March 2017 at the Kuala Lumpur Convention Centre (KLCC) for the fourth consecutive year. KLCC adjacent to the iconic Petronas Twin Towers, provides the ideal accessible venue; in the centre of Kuala Lumpur with excellent links for exhibitors and buyers alike. The four-day event spread over 30,000 square metres and with more than 300 exhibitors, you will find all the main Malaysian and many international brands here – giving you a complete in depth representation of what’s available in the furniture and furnishings industry today and, just as important, the latest trends and designs. 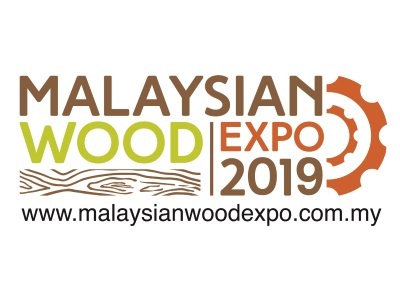 Organized by EFE Expo Sdn Bhd., a wholly owned subsidiary company of the Malaysian Furniture Council (MFC), don’t miss out on one of the biggest furniture trade exhibitions of the year. You have the opportunity to reach retailers, interior designers, contract buyers, architects, developers and more. Not only is the EFE 2017 show a great way to find new customers, it provides the ideal opportunity and timing to launch new ranges, make sales and re-engage with existing customers. Welcome to EFE 2017, Fine Furniture, World Market. 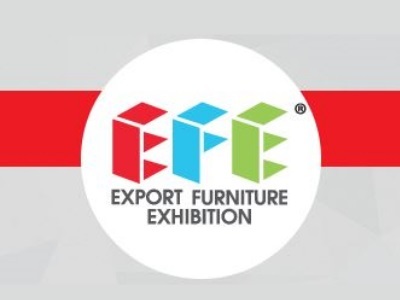 The Export Furniture Exhibition (EFE), one of Southeast Asia’s largest and most important international furniture business platforms, will stage its 12th edition from March 5 to 8, 2016 in Kuala Lumpur. Show attendees to EFE 2016 can expect to see brand new collections and an extensive selection of new products from more than 270 manufacturers from Malaysia, China and ASEAN region at the Kuala Lumpur Convention Centre (KLCC). The four-day show spread over 20,000 square metres is on track for another strong performance based on the momentum of influential buyers coming to EFE in the past years. 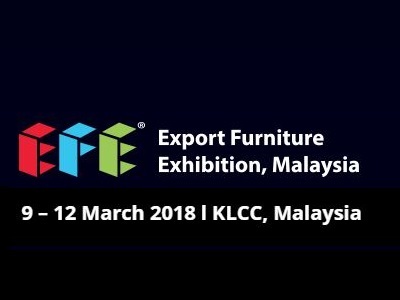 Export Furniture Exhibition is presented by Malaysian Furniture Council (MFC) and organized by EFE Expo Sdn Bhd, a company wholly owned by MFC. An exhibition by the industry for the industry, EFE has built its reputation for its robust B2B trading atmosphere and provides irresistible value for a wide range of high quality furniture to suit dining, bedroom, living room, office, children, sofa, occasional, outdoor as well as furnitue fittings and hardware. Discover the breadth and depth of what’s on show at EFE, a platform for meeting buyers and decision makers where exclusive networking opportunities and building partnerships with leading industry players are available. The second session of the Malaysian Furniture & Furnishing Fair (MF3) will be officially held from 24 to 27 December 2015 at the Kuala Lumpur Convention Centre. MF3 is celebrating the best of the furniture industry with the biggest home furnishings fair in town, where you can find varieties of export quality furniture and furnishing products at factory prices. Other highlights include many exciting marketing programmes and activities on “pre-show” and “During-Show”. They include Spend and Win, Spend and Redeem, Facebook Like and Win, among others. 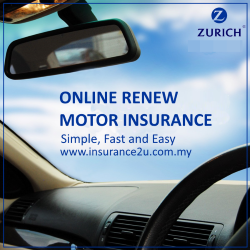 The Spend and Win cash and product prizes have been increased to a total of RM62,333 with a Grand Cash Prize of RM20,333. The fair is open from 10.30am to 9pm daily from Dec 24-27. Admission is free.